Now that it’s March, I figured I should get around to writing this up (don’t even get me started on the Christmas braciole post that’s been hanging out as a draft since December.) 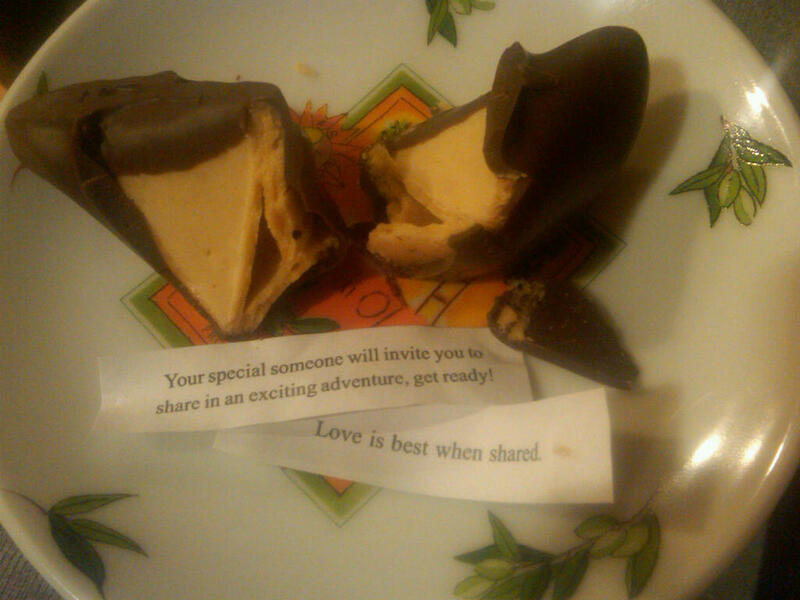 My husband and I have never been big on Valentine’s Day, although we always do a little something nice to celebrate. This year we figured we’d eschew our normal tradition of going out to eat at a bar or gastropub and make a nice dinner at home. 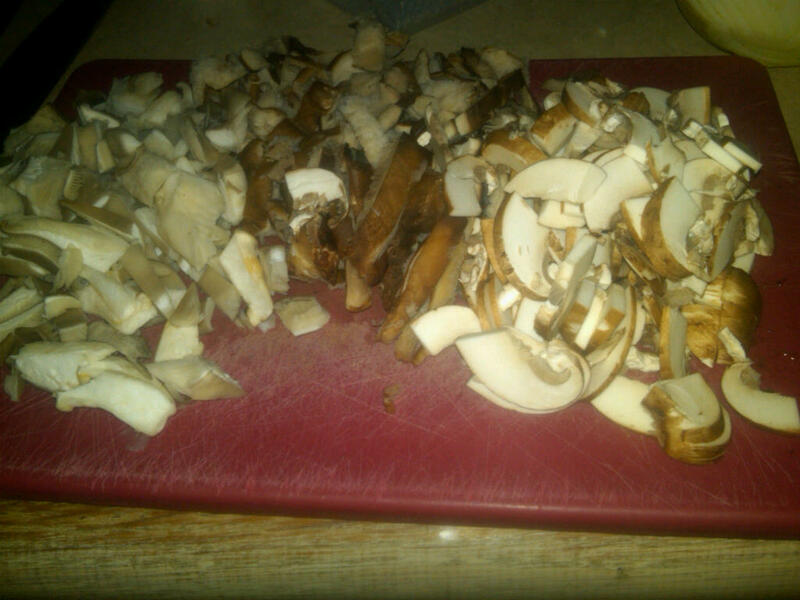 I bought two nice NY strips from my butcher and a variety of mushrooms, thinking it would be nice to have a mushroom risotto on the side. I used to make risotto a lot when I was a vegetarian–it’s a great main dish option–but haven’t done so in a few years. 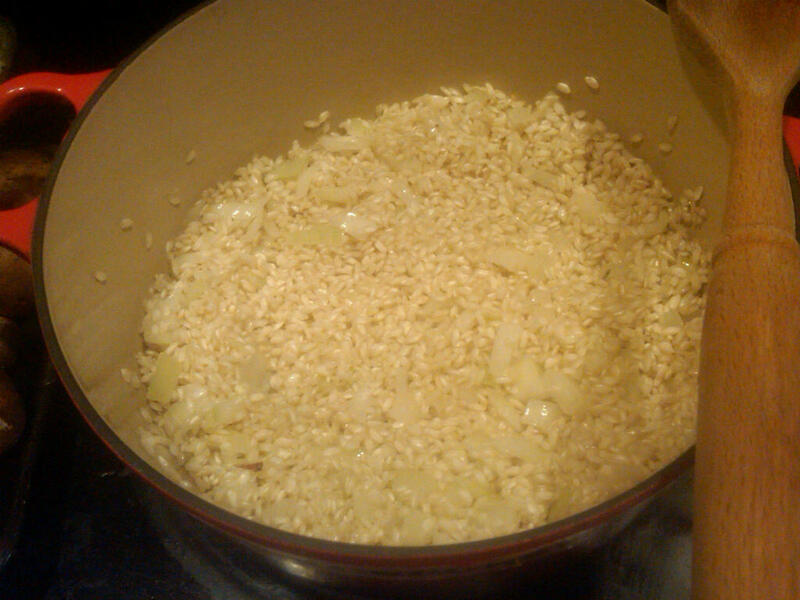 I started off my sauteing chopped onions in some olive oil, then I threw in the rice to toast it up a bit and pull out the nuttiness of the grain. Once the grains were sufficiently toasted, I started adding fresh stock, little by little. Well, I actually threw in a cup or so of white wine before adding stock. Wine makes everything taste better. The trick to risotto is patience, patience, patience. You are supposed to add the liquid by the ladle or cupful and then stir slowly until the rice absorbs the liquid. Then add more liquid and repeat…and repeat..and repeat. It’s a pretty time consuming, yet simple process. I read a long time ago that Italian tradition says that you are only to cook risotto with a wooden spoon and must stir it in the same direction the entire time. Who knows but I always like to follow Italian tradition. 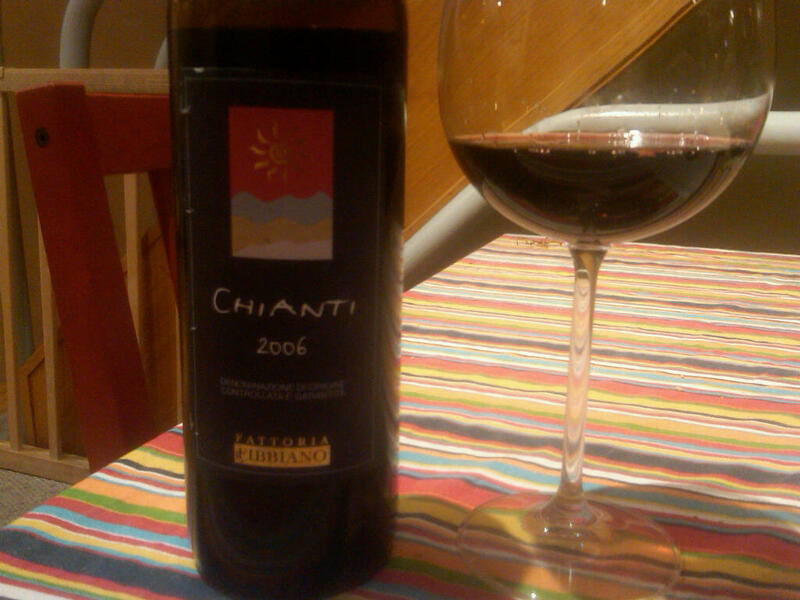 After my husband heated up the grill, we popped open our last bottle of wine from Fattoria Fibbiano, the Tuscan agriturismo where we were engaged. I wasn’t sure how soon the wine was supposed to be opened so I was a little nervous. 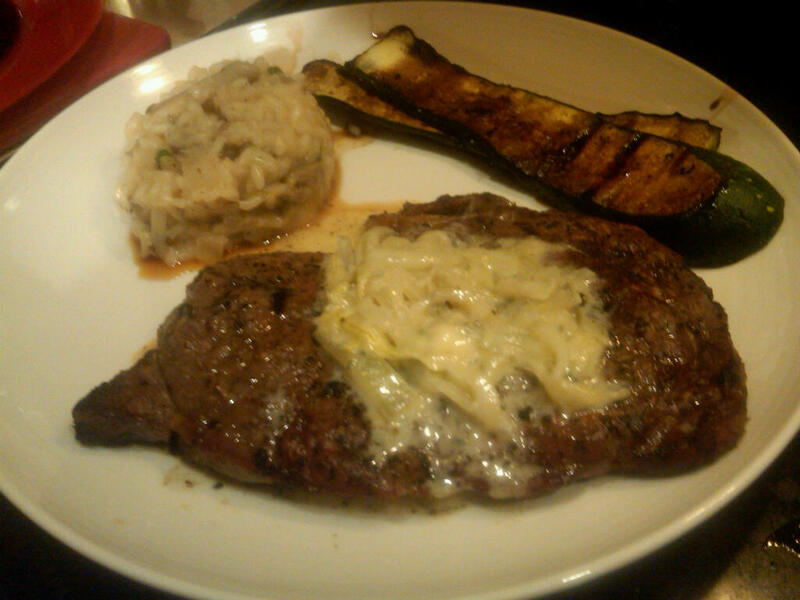 After a few sips, he went outside to toss the steaks on the grill while I sauteed the mushroom trio for the risotto. And continued to add liquid and stir (with my wooden spoon, of course.) 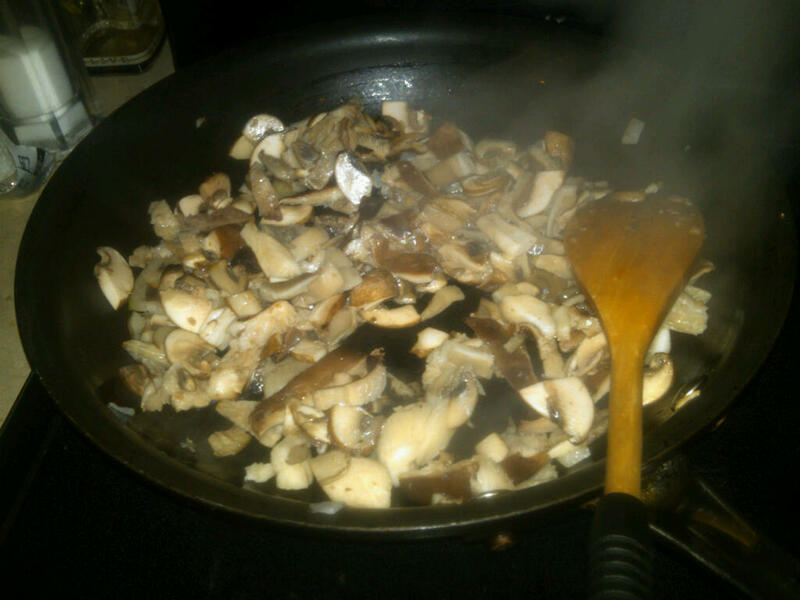 When the mushrooms were done, I set them aside and threw some thinly sliced onions in the pan to caramelize. 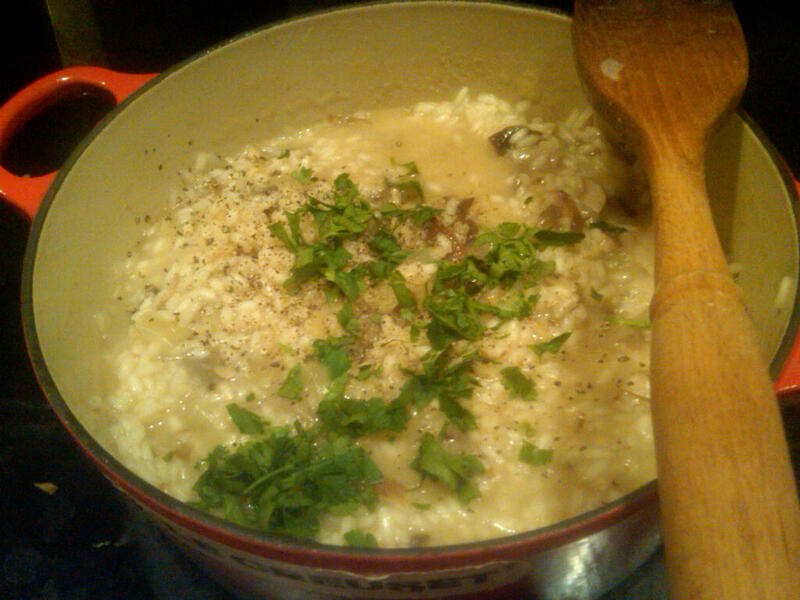 The risotto finished up around the same time as the steaks and I tossed in the mushrooms, some chopped parsley, s&p and a generous sprinkle of parmesan. I finished the caramelized onions with crumbled blue cheese and milk for a cheesy, oniony topping for the steaks. 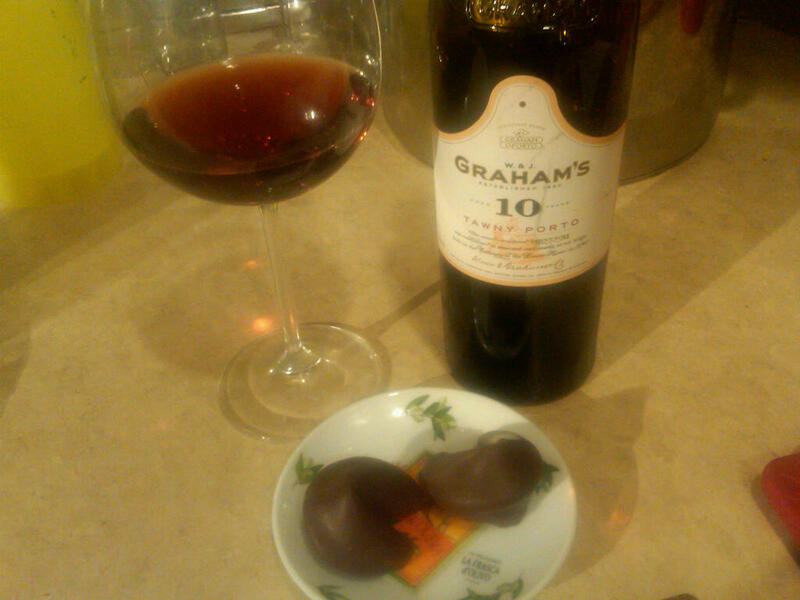 After dinner, we sat down for a quick and easy dessert for two self-proclaimed non-dessert eaters–chocolate covered fortune cookies from my friend, Rebecca and a glass of tawny port. We used our red wine glasses for the port. So sue me. Valentine’s Day was nice, of course, but I love spending time with my Valentine all year round. I love you, Zach.